Please see below for our terms and conditions for photoshoots. 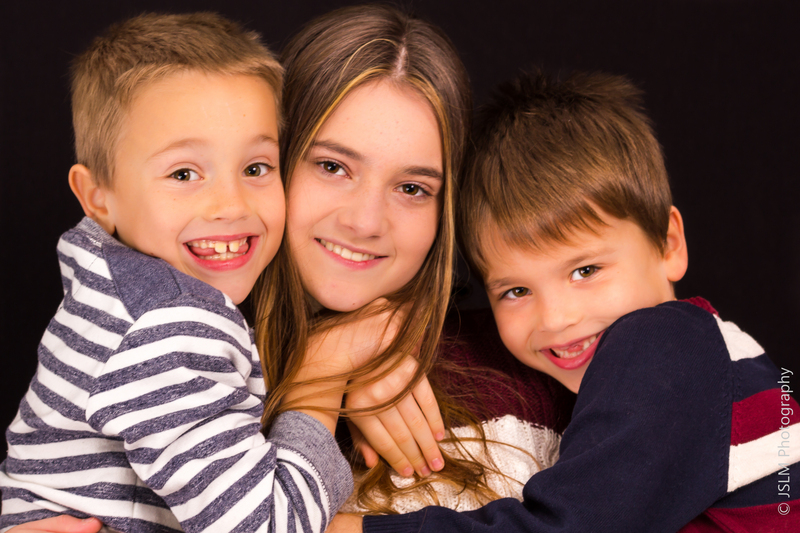 Family = 2 Adults and up to 4 children - we charge an additional £50.00 per person thereafter. It may be beneficial to book two consecutive sessions. Please call to discuss before booking. Please ensure that you arrive on time with makeup applied and hair done. This will maximise the time for the shoot. Processed images will be supplied to you digitally with 3-4 working days after the shoot. (a) The entire copyright in the images is retained by JSLM Photography at all times throughout the world. (b) JSLM Photography supplies the technical and artistic ability to illustrate an idea photographically, and sells the right to reproduce those images in a given context. No property or copyright in any images shall pass to the Client whether on its submission, or on JSLM Photography’s grant of reproduction rights in respect thereof. (a) The Licence to Use comes into effect from the date of payment of the relevant invoice(s). No use may be made of the images before payment in full of the relevant invoice(s) without the express permission of JSLM Photography. Any permission which may be given for prior use will automatically be revoked if full payment is not made by the due date or if the Client is put into receivership or liquidation. (c) JSLM Photography reserves the right to refuse to supply or grant a reproduction licence to a third party when requested to do so by the Client. (a) JSLM Photography will keep confidential and will not disclose to any third parties or make use of material or information communicated to them in confidence for the purposes of the photography, save as may be reasonably necessary to enable JSLM Photography to carry out their obligations in relation to the commission. (a) While JSLM Photography takes all reasonable care in the performance of this agreement generally, they shall not be liable for any loss or damage suffered by the Client or by any third party arising from use or reproduction of any image or its caption. (b) The Client agrees to indemnify JSLM Photography in respect of any claims or damages or any costs arising in any manner from the reproduction without proper reproduction rights of any image supplied to the Client by JSLM Photography. (c) It is the Client who must satisfy himself that all necessary rights, model releases or consents which may be required for reproduction, are obtained and it is acknowledged that JSLM Photography gives no warranty or undertaking that any such rights, model releases or consents have or will be obtained whether in relation to the use of names, people, trademarks, registered or copyright designs or works of art depicted in any image. In the event that the image issued or reproduced by or with the authority of the Client then the Client shall indemnify JSLM Photography against any loss or damage, proceedings or costs where such rights, releases or consents have not been obtained. (a) Payment is required at time of shoot unless otherwise stated/agreed by crossed cheque made payable to " James King" or by automated credit transfer (BACS). BACS details will be supplied with our invoice if this is a more convenient method of payment. Proof of postage of remittances is not considered proof of receipt, and clients are advised to send payment by any method affording proof of delivery. (b) If payment is not made in accordance with (a) above then JSLM Photography may rescind this Agreement and recover damages, or, at their option, may exercise their statutory right to interest under the Late Payment Of Commercial Debts (Interest) Act 1998. (c) If any invoice issued to the Client is not paid by the Due Date, then all unpaid invoices issued to the Client become due of immediate effect, even if it is less than 30 days from the issue date, and that JSLM Photography may consider these invoices as overdue when pursuing legal action for the recovery of said debts. (d) A fee of £15.00 (excluding VAT) may be made for each account reminder, duplicate invoice, or any other paperwork, correspondence or phone calls involved with the perusal of a debt. This fee is non-refundable, and represents the additional time spent pursuing overdue invoices. (e) JSLM Photography reserves the right to suspend ongoing services, such as (but not limited to) the Downloadable Web Page or other distribution of images, once any invoice issued to a Client becomes overdue, and also reserves the right to inform the reason of this to third parties to whom this suspension of service affects. (f) On the Client's death or bankruptcy or (if the Client is a company) in the event of a Resolution, Petition or Order for winding up being made against it, or if a Receiver is appointed, JSLM Photography may at any time thereafter inspect any records, accounts and books relating to the reproduction of their images to ensure that the images are being used only in accordance with the reproduction rights granted to the Client. (a) Where extra expenses or time are incurred by JSLM Photography as a result of alterations to the original brief by the Client, or otherwise at their request, the Client shall give approval to and be liable to pay such extra expenses or fees at JSLM Photography’s normal rate in addition to the expenses shown on the estimate form as having been agreed or estimated. (a) Once the Client has made a booking for a specific time and date, JSLM Photography will not accept any other work from other clients for those times and dates. (b) As a result, once a booking is made, if it is subsequently cancelled, a cancellation fee will be charged to the client according to the following schedule. When a client cancels a booking within two weeks of any confirmed date, a fee of 50% of the booked time rate will be charged. When a client cancels photography within one weeks of any confirmed date, a fee of 100% of the booked time rate will be charged. In addition to this cancellation fee, the client will be charged for any expenses already incurred by JSLM Photography. (a) If the box on the 'Licence to Use' marked "Right to a Credit" has been ticked JSLM Photography’s name will be printed on or in reasonable proximity to all published reproductions of the images. By ticking the "Right to a Credit" box JSLM Photography asserts their statutory right to be identified as the author of the work in the circumstances set out in Sections 77 to 79 of the Copyright, Designs and Patents Act 1988 or any amendment or re-enactment thereof. (b) Unless otherwise agreed in writing if any image reproduced by the Client omits the copyright notice or credit line specified by JSLM Photography any fee payable by the Client shall be subject to an increase specified by JSLM Photography, and in any event an increase of not less than 25%. (a) Every effort will be made to archive the images indefinitely by JSLM Photography. However, JSLM Photography makes no warranty about the nature of its archive past the date of first delivery of final images. Clients should treat the delivered files carefully, and we recommend that you keep a safe copy for the duration of the licence.